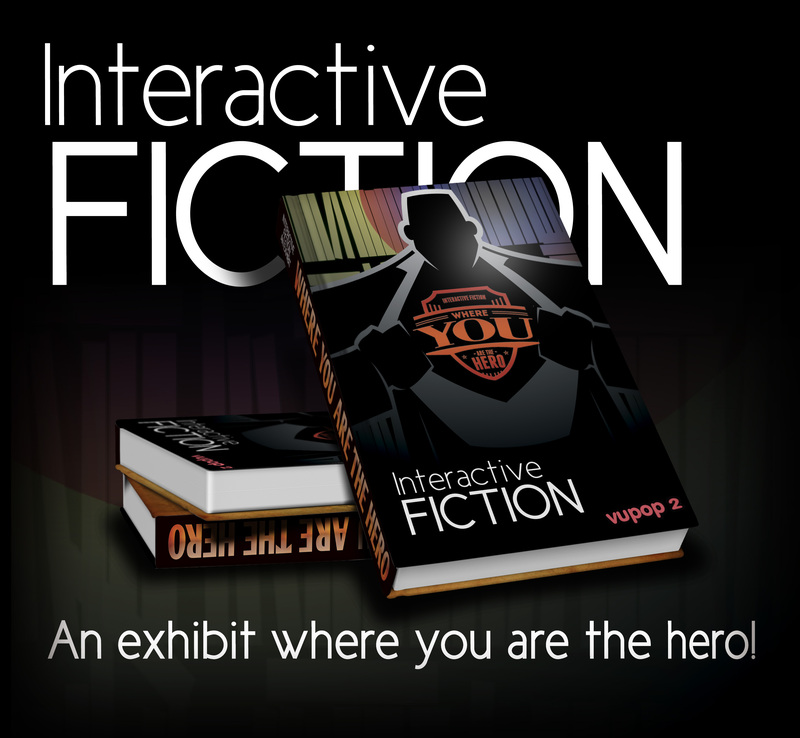 VuPop 2: Interactive Fiction in Print and Online, a conference sponsored by Falvey Memorial Library, takes place in the Library today. VuPop 2 is the second in the series of annual conferences exploring popular culture and mass media. VuPop begins at 9:30 a.m. with registration and light refreshments and ends at 4:30 p.m. Attendees will be welcomed by David Uspal, senior web specialist for library services and scholarly applications, and Michael Foight, Special Collections and Digital Library coordinator. Demian Katz, library technology development specialist and an avid collector of gamebooks, is presenting “The History of Gamebooks.” His collection is featured in the exhibit, “Interactive Fiction: An exhibit where YOU are the hero,” adjacent to the Speaker’s Corner where the conference is meeting. 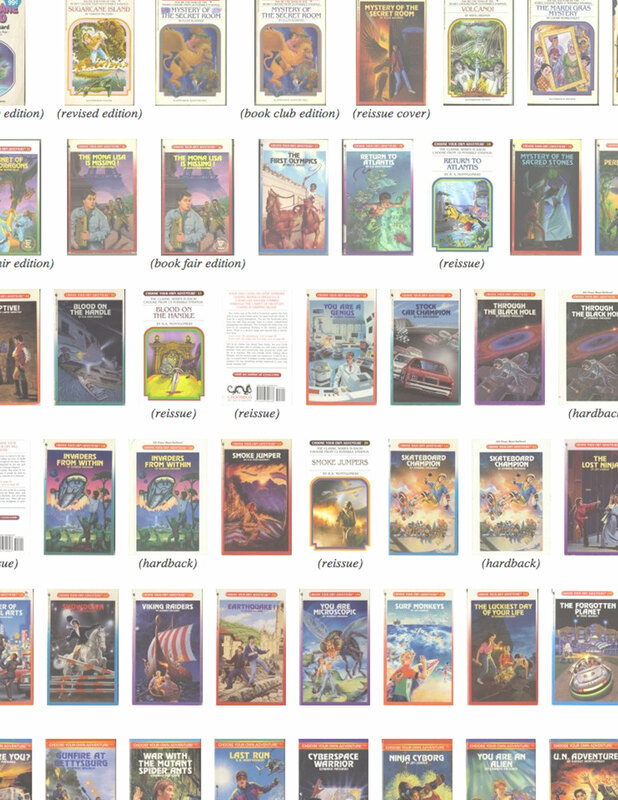 The exhibit, curated by Katz, displays six cases of his gamebooks (plus one loaned by Laura Bang, Digital and Special Collections curatorial assistant). Each case contains one or more informative placards. 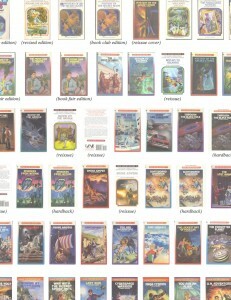 The gamebooks are divided into categories such as “Choose Your Own Adventure” which, among other works, has Cinderella’s Magic Adventure open to an illustration and text where the reader makes his or her choice of how to continue. The exhibit will remain on display through the summer. In the morning session, Rebecca Slitt, PhD, will discuss “Viking, Gunslinger and Madam Midshipwoman: Gender and History in Interactive Fiction.” Dr. Slitt, who taught medieval history at several universities, is now the managing editor at Choice of Games. Laura Bang and Christopher Hallberg, library technology development specialist, are presenting an interactive reading of “Groom of the Tomb,” which will be followed by a catered lunch for conference attendees. Afternoon speakers are Christopher Liu, Randy Cook, David Perlman, and Tom Rothamel. Christopher Liu’s topic is “On Writing, Interactively.” Liu is the founder of Adventure Cow, a recently created company which publishes interactive novels. Adventure Cow’s first work, Destiny Quest Infinite, will soon be released. 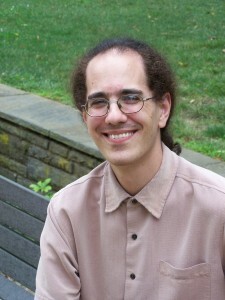 David Perlman, PhD, the president and founder of E4-Eclipse Ethics Foundation, presents “Interactive Fiction: The Use of Two Forms of Pop Culture to Increase Public Bioethics Awareness.” Dr. Perlman is a visiting assistant professor at the University of the Sciences and a senior lecturer at the University of Pennsylvania, both in Philadelphia. Article by Alice Bampton, digital image specialist and senior writer on the Communication and Service Promotion team. Exhibit graphics by Joanne Quinn. Demian Katz photo by Alice Bampton . Hi, Chris here – thanks for hosting the conference! Just thought I’d mention that our book isn’t out yet as of 6/11, in case anyone was checking. The link to the book is actually at http://destinyquestinfinite.com, though we’ll link from Adventure Cow eventually. Chris – thanks for hosting the conference!